Nannies for Grannies started was in 2014 by Kay and her Business Partner, Shelley. 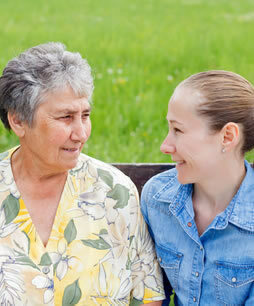 Both were inspired in part by their own experiences of caring for older family members. They realized that it was difficult to find someone to cover for them when they were too far away to help their loved ones. It soon became apparent that this would also be the same issue other families were facing when looking for home care for their senior parents or family members. 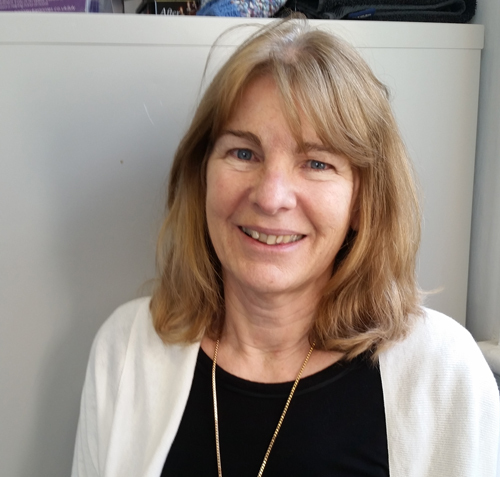 Kay has a wide range of experiences looking after children with special educational needs and students with learning difficulties, so is well placed to apply the skills of empathy and understanding to the older generation. She is passionate about helping elderly people live independent and fulfilling lives despite the inevitable health and mobility challenges and the all too frequent isolation and loneliness many of them experience. Our vision is to enable elderly people to live safely and healthily in the comfort of their own home. We have 5 core values. They explain what matters to us most in the pursuit of our vision. We place our Clients at the centre of everything we do. Our focus is on elderly care and we tailor make our services to each client’s individual needs. We seek long term relationships. We know that by having the confidence in the reputation of our company and in the character of each member of our staff. It is our hope that our clients will join us and enjoy the journey. We aim to provide the highest quality senior care and to treat each person with respect and kindness. We employ local people. All our staff have chosen a change of career to work for us and all are DBS registered. References are checked and our staff receive regular training with us. We believe in continuity of care and aim to introduce our clients to the same 2 or 3 nannies each time you need help. Providing senior home care requires long-term care planning. But many family members become caregivers to elderly loved ones overnight without being ready for it. A loved one falls down or an illness triggers a change in their independence. After a certain period of time, family caregivers may realize that they need help and start searching for alternative help. One solution may include home care. 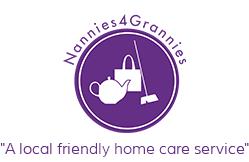 Once contact with us is made an initial phone call will determine the client’s needs and upon confirmation that Nannies 4 Grannies can cater for these needs a meeting is arranged. At the meeting, usually with the client and a family member, we will discuss any current and background health issues. The kind of support that is envisaged will also be considered. A Support Plan and Risk Assessment will then be drawn up and sent to the client for approval. Prior to scheduling visits, we will carefully match the client with 2 carers based on skills required, shared values, interests, personality. I embarked on my journey with Nannies 4 Grannies over 4 years ago now and haven’t looked back. My vision was half a dozen members of staff supporting a handful of clients between us. But as always, when you have a superb team and your reputation grows, then you grow accordingly. I love working with our great staff who come from all walks of life and who are able to share their life skills and add a personal touch with our fantastic clients.